Continuing our commitment to investing in skills we recently recruited two new apprentices on our Walsall active elderly apartments development. We welcome Charlotte Derry as apprentice plasterer on the site, aged 18, from nearby Bloxwich. Charlotte, the daughter of a plasterer, gained some experience helping her father renovating houses, and will be mastering her plastering skills on some of the 44 apartments and communal areas now taking shape. We also welcome Bradley Dodd, 17 from Walsall, as apprentice carpenter. Bradley comes from a carpentry family, his father and two uncles also being carpenters. The apprentices are recruited in partnership with CITB and Walsall Housing Group. Both apprentices will supplement their on-site experience with training and support from Walsall Housing Group skills centre. 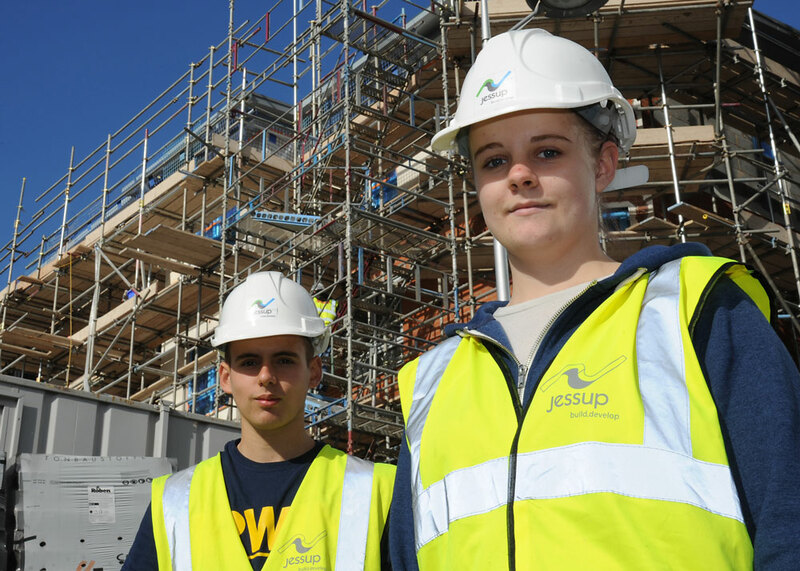 Whilst with Jessup, the apprentices will be mentored by our dedicated apprentice mentor Nigel Derry, and at Walsall will receive on site support by senior site manager Ian Bott.